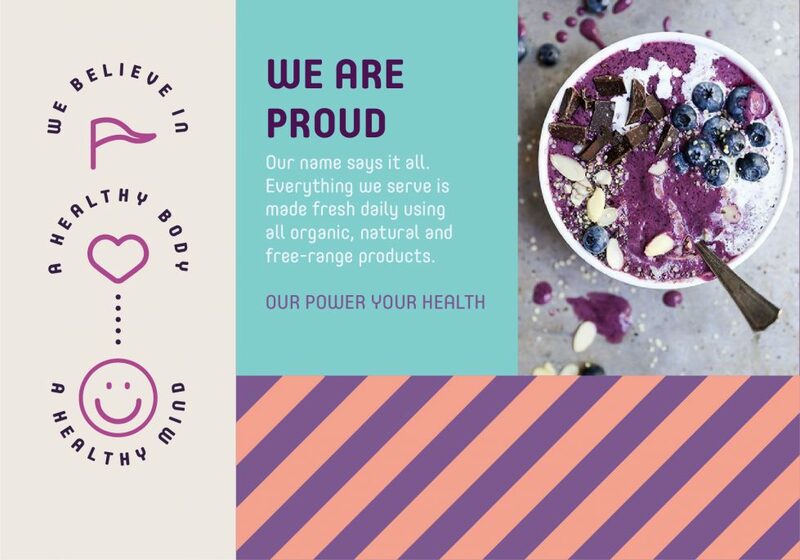 Power of Health is a dynamic health brand and food store with a strong focus on catering to consumers with various food allergies and dietary requirements. 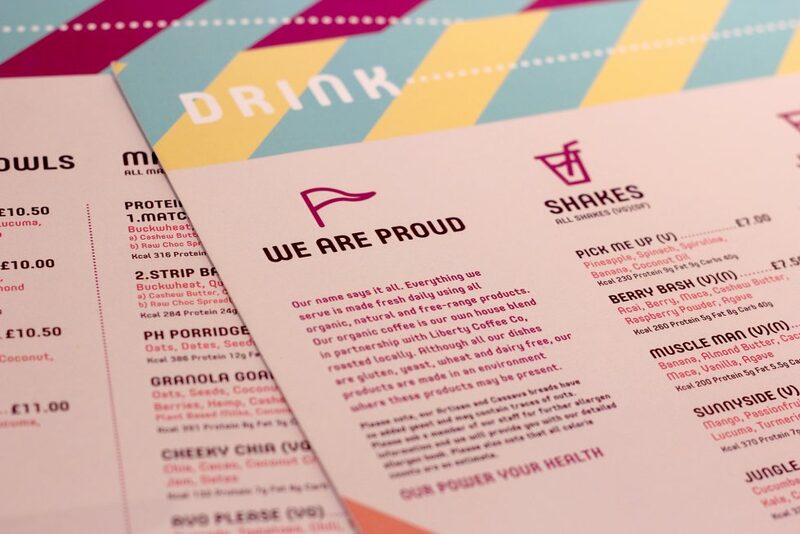 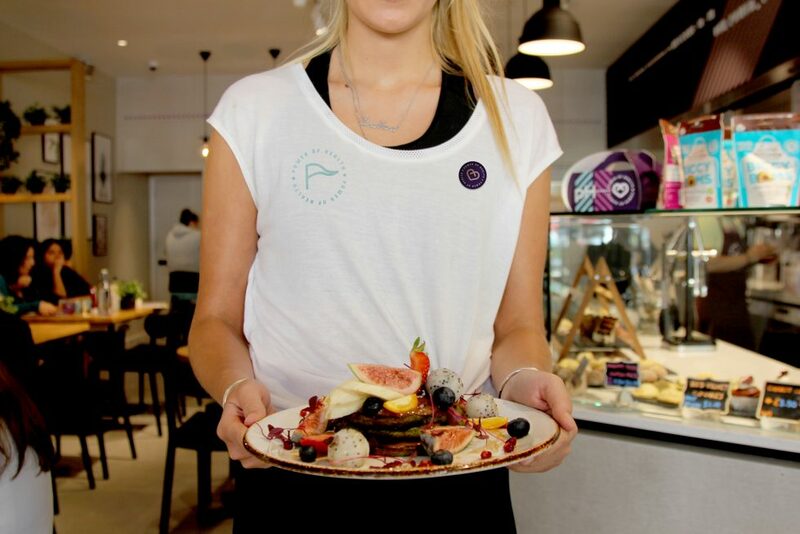 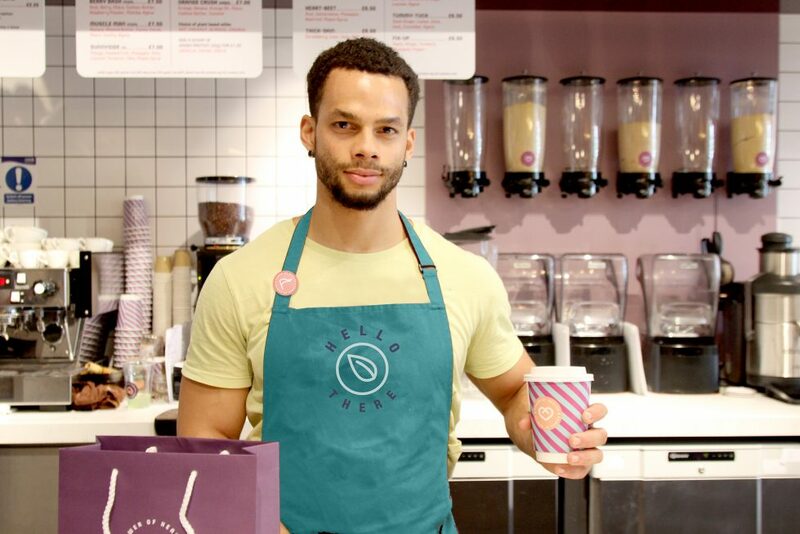 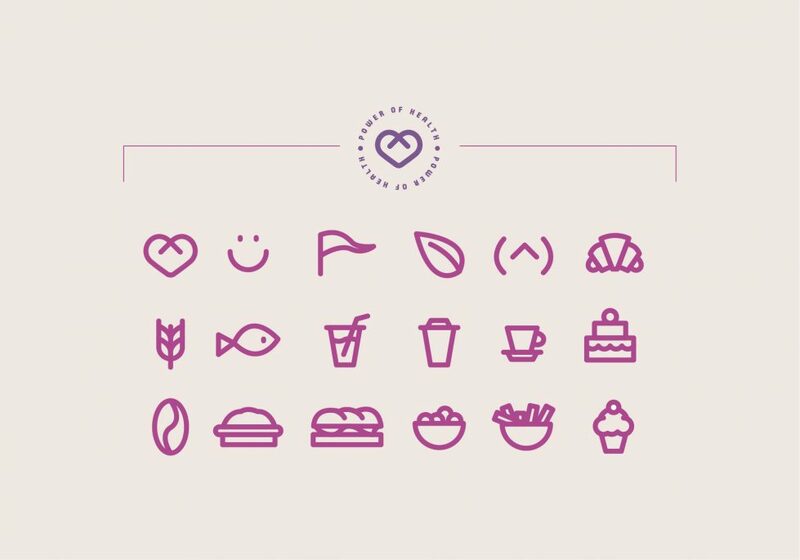 A brand, offering dine-in and takeaway service from breakfast to dinner, celebrating healthy and tasty lifestyle. 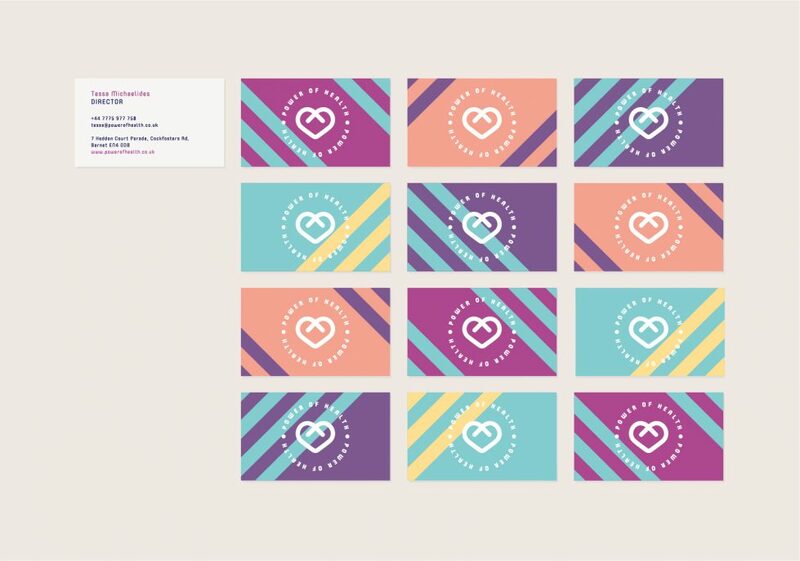 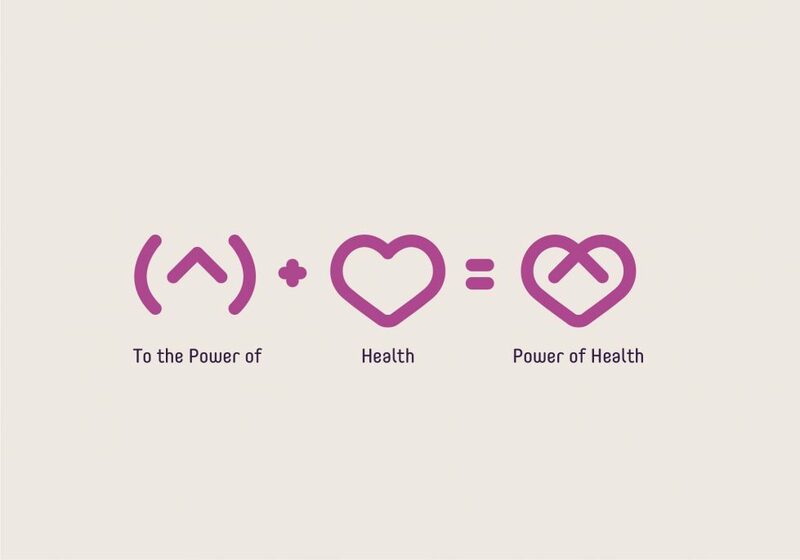 Tessa Michaelides, the founder of Power of Health, asked Design Clarity to create a name, brand and interior concept for her dream making sure we consider the scalability aspect since there were ambitious expansion plans for the future. 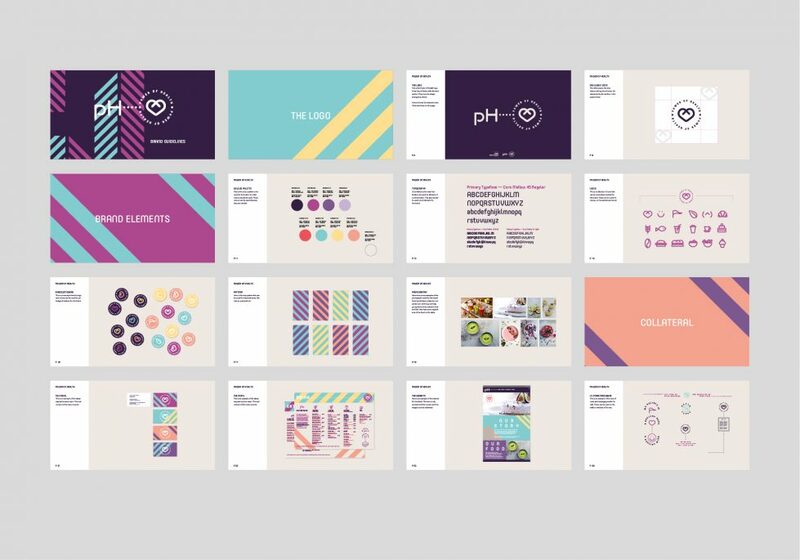 In order to come up with a suitable name, branding and interior concept, we started out with our brand creation workshop where we studied the target customers, competitors and the brand personality (ie Honest, Exciting, Creative). 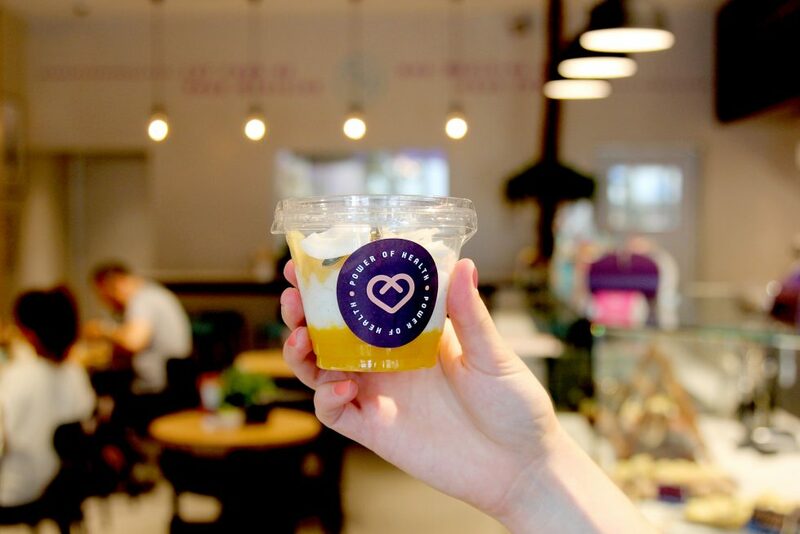 It was decided that this brand would be different than the ones with the similar offer in the market – representing a positive healthy lifestyle rather than sterile and boring. 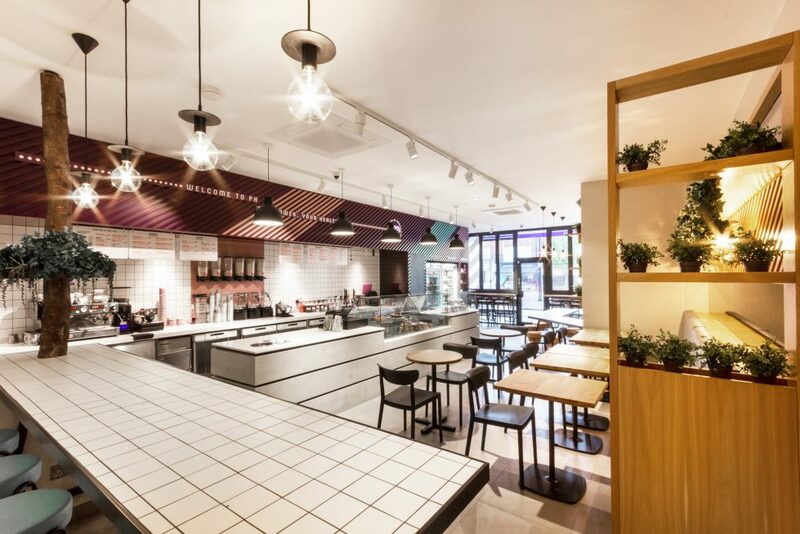 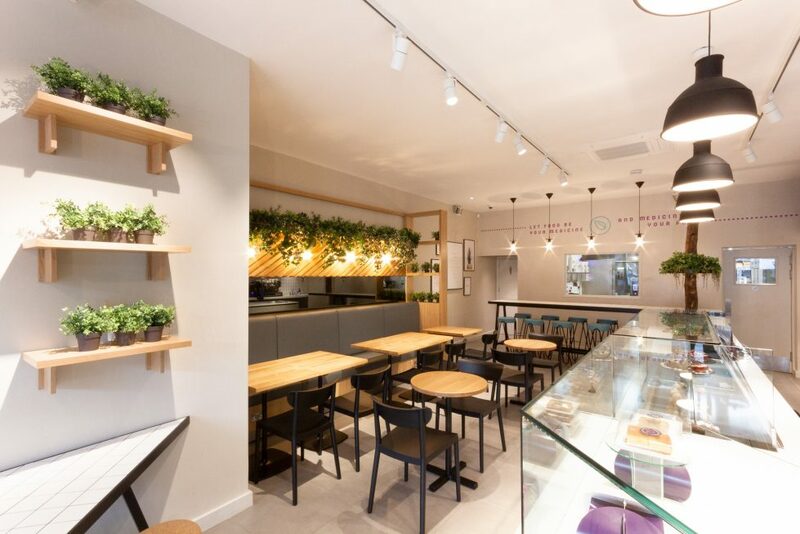 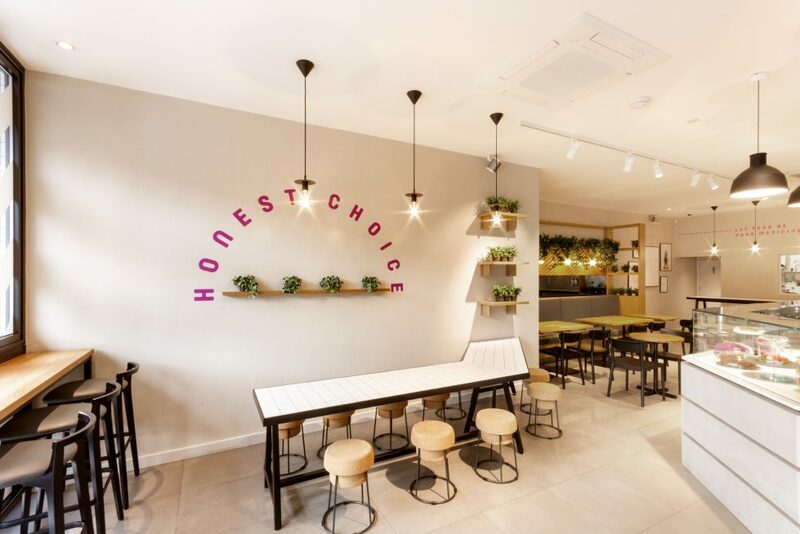 Honest: The combination of natural materials and open shopfront create an inviting environment, whilst the viewing panel through to the prep kitchen sparks interaction with the chefs & showcases the creative theatre behind the menu. 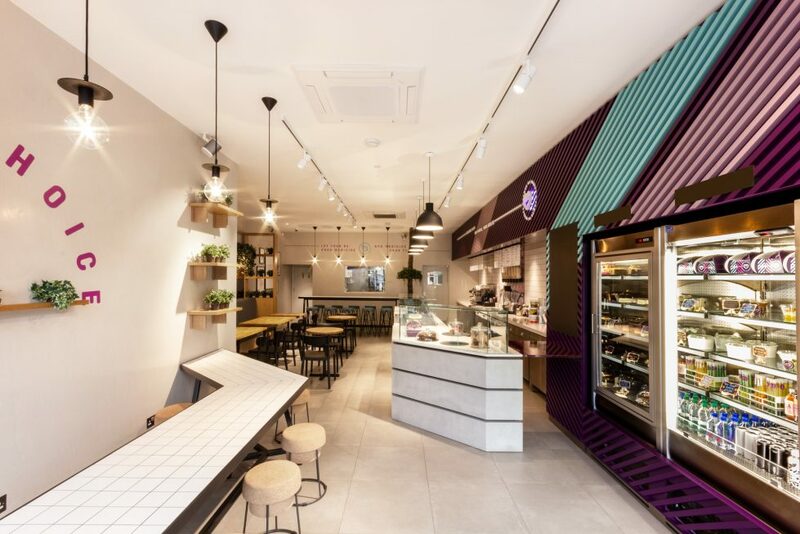 Exciting: The use of a vibrant colour palette and striking diagonal patterns are used to attract & engage, creating a unique interior look & feel. 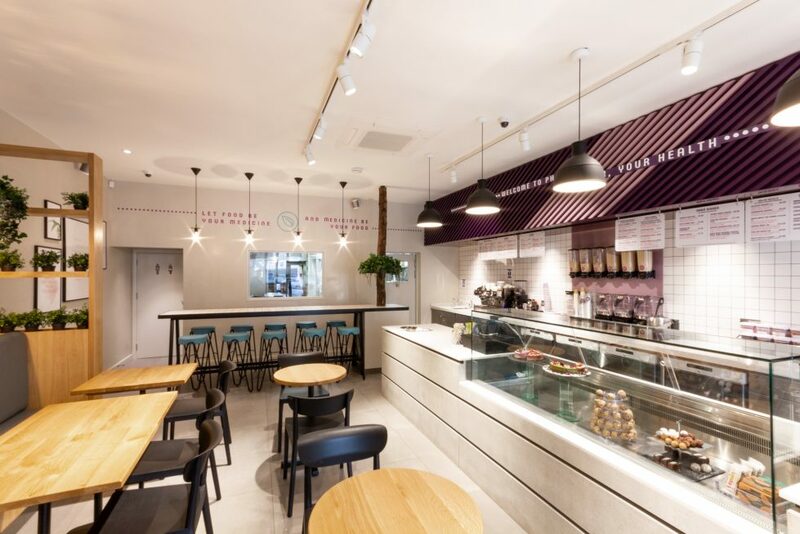 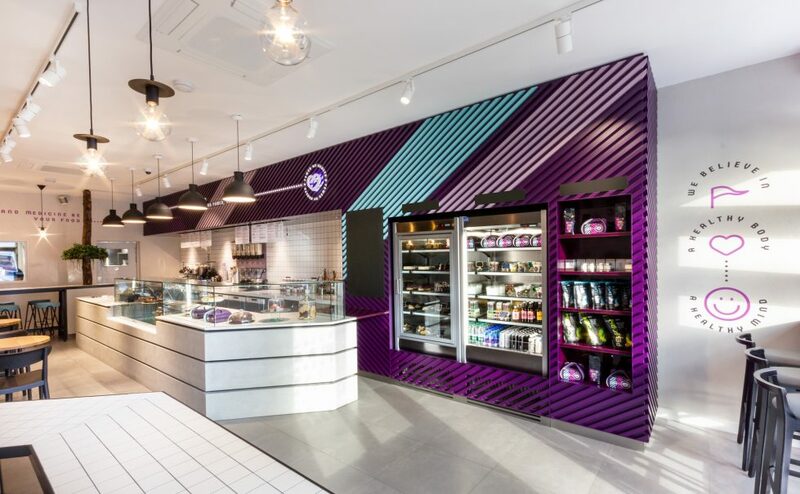 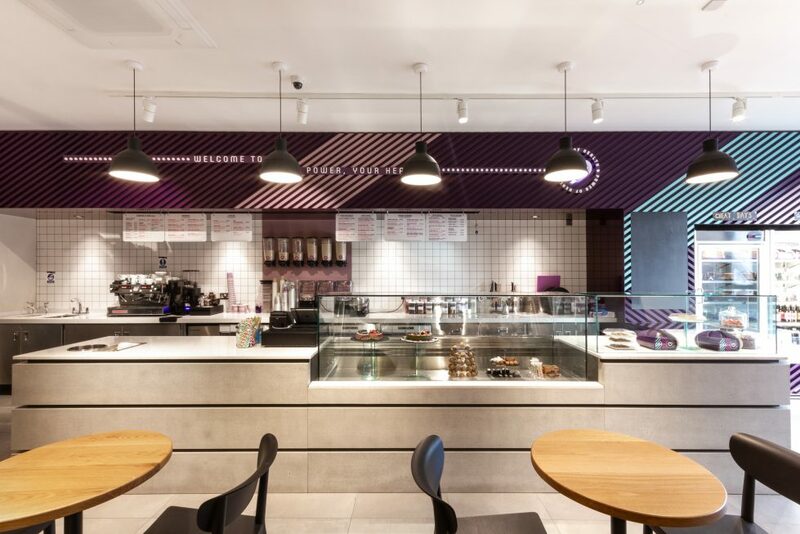 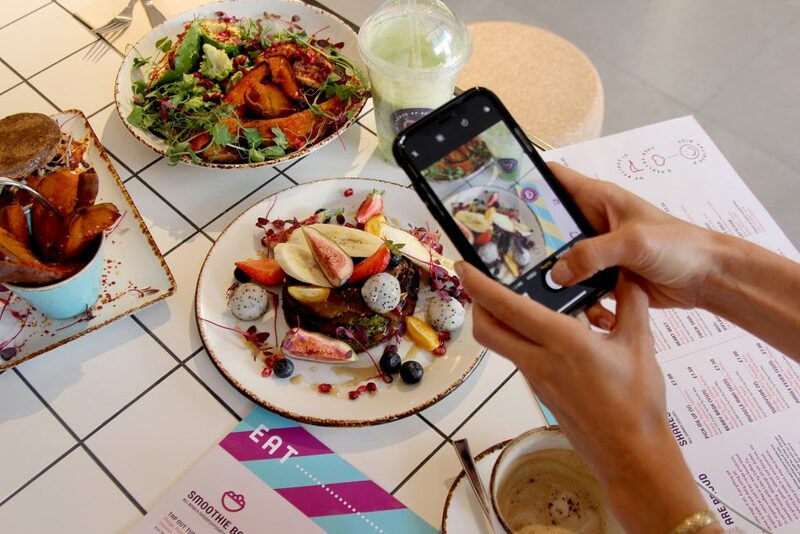 Creative: With a strong focus on the food offer, DC designed a feature counter display aiming to showcase the café’s colourful and creative creations. 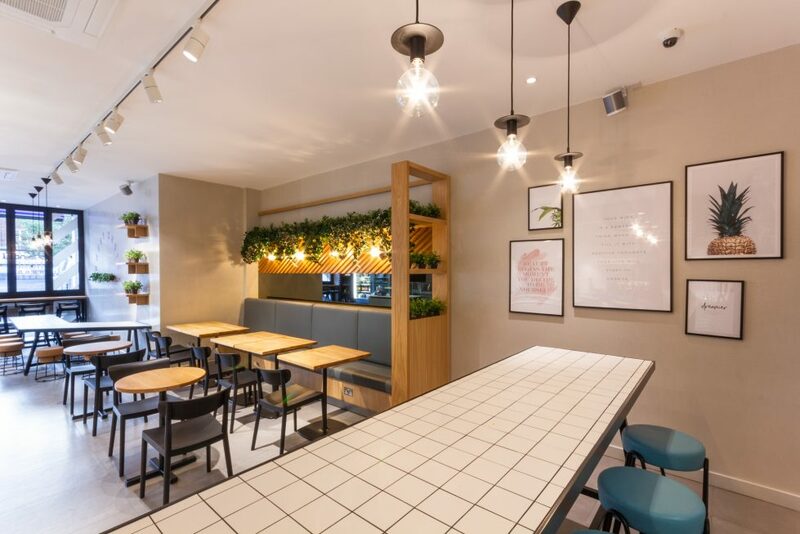 With an emphasis also on education, a ‘Workshop table’ has been incorporated, a flexible area used to hold group nutrition workshops, tasting sessions, events and more. 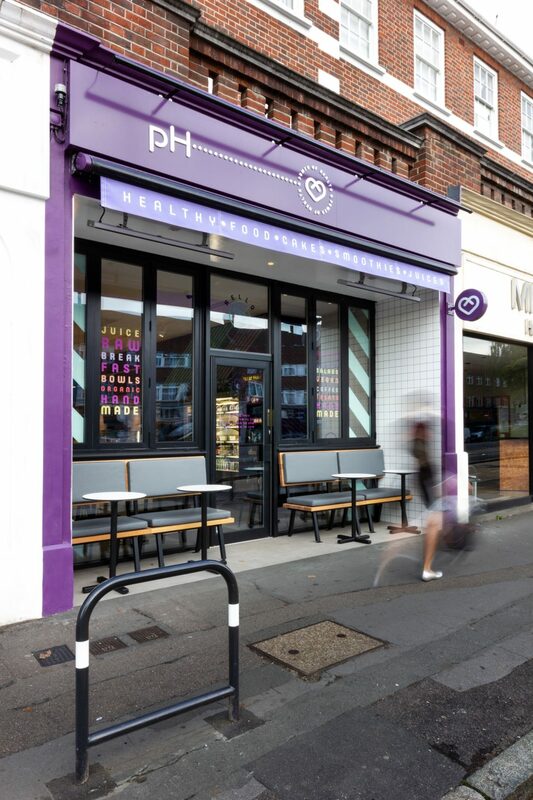 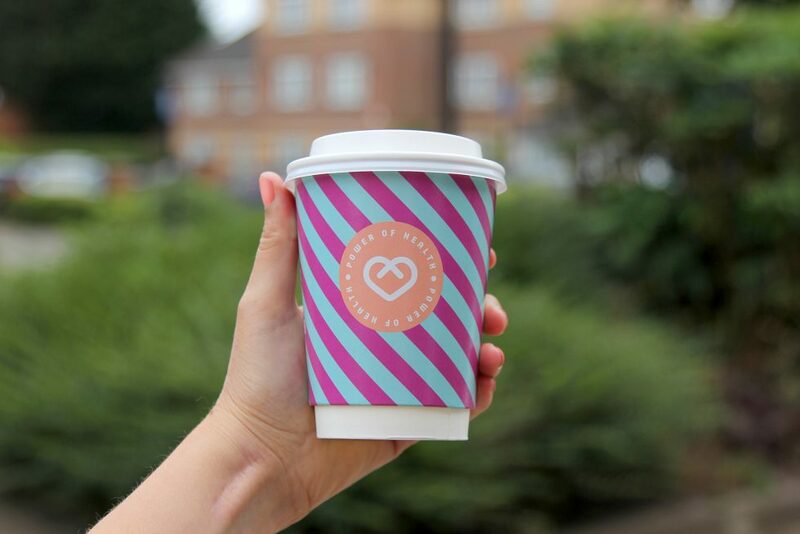 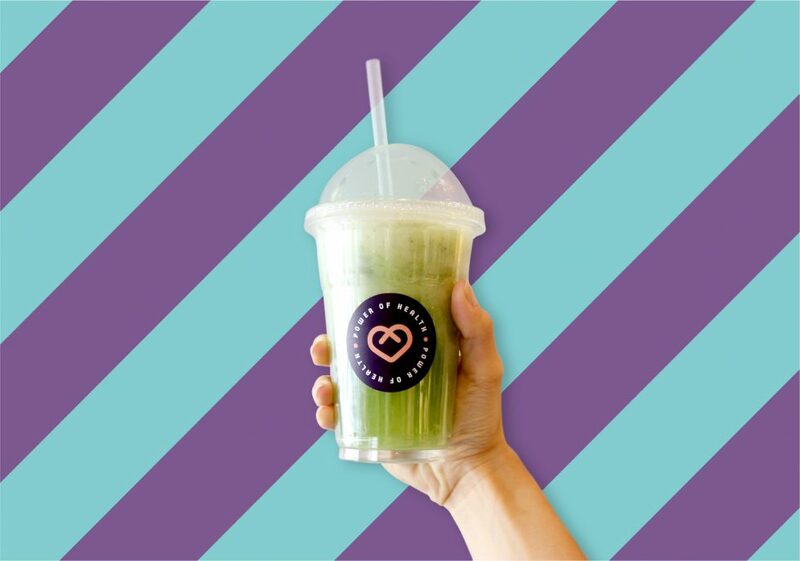 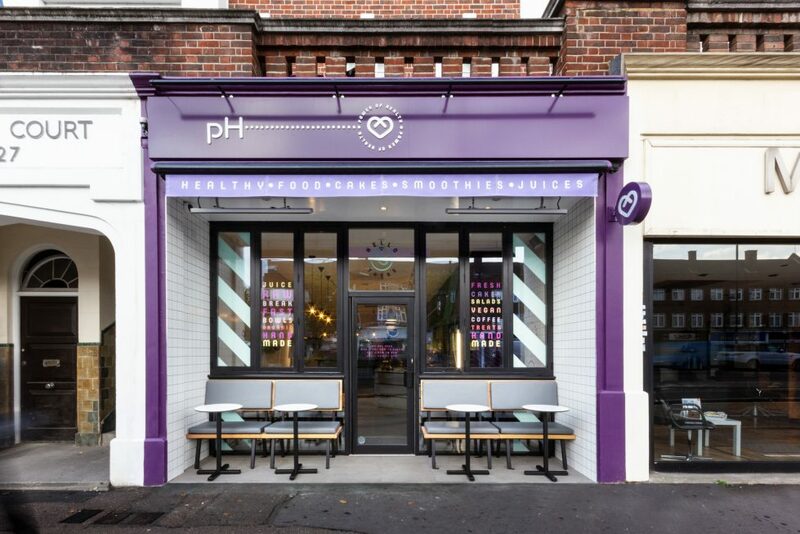 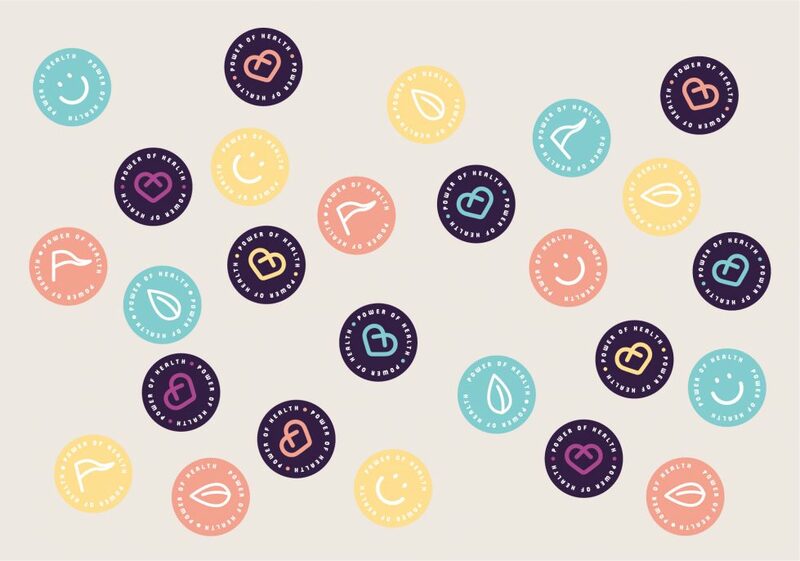 As a result, Power of Health turned into a loved brand not only attracting the locals but also health and food lovers from all over London. 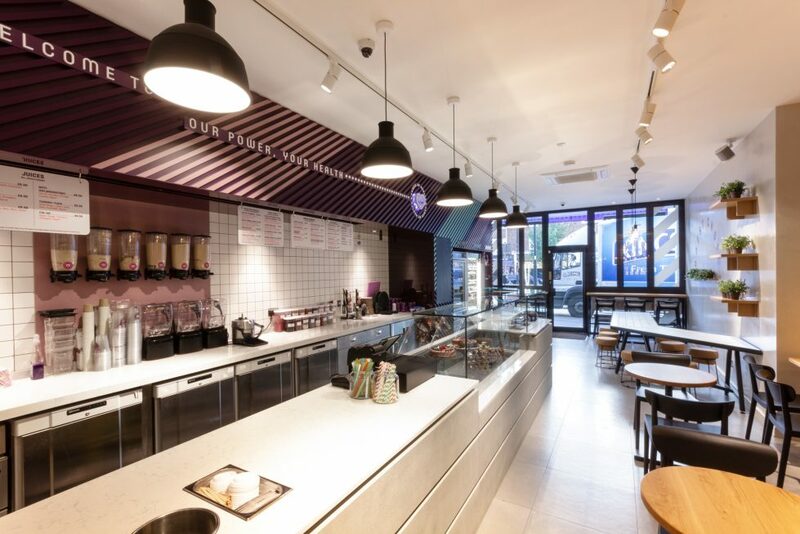 There is already demand for new locations and we are ready for new adventures with this hot brand in town.